Investors have also been less than happy with the policies of socialist President Michelle Bachelet, which have alienated business and corporate leaders. That Chile’s economy is inextricably linked to the price of copper, its premier export, is nothing new but a recent high profile campaign finance scandal and a series of other corruption scandals have tainted the reputation of a country that for years, was a poster child for Latin America and the emerging markets in general. Investors, local Chileans as well as foreign investors, have also been less-than-happy with the policies of socialist President Michelle Bachelet, which have alienated business and corporate leaders. Which is why some are hoping that last week’s cabinet reshuffle in the wake of the campaign finance scandal (Bachelet removed five ministers, including her finance minister, from office) may be a sign of a slow return towards the more market-friendly policies that were Chile’s hallmark for years and that investors believe the country needs for improved economic growth. Bachelet’s new finance minister is Rodrigo Valdes, an economist and the current chairman of state-run Banco del Estado. He is well respected, Jacobsen said, and will likely push for tempering some of the president’s reform plans. However, how far his influence will extend is yet to be seen, and it’s more likely that at the end of the day, “Bachelet will get her way and that might not augur well for the long-term growth outlook of Chile,” he said. Bachelet essentially increased taxes on corporations and got rid of some of the tax credits that favored companies had allowed them to effectively put money back into the Chilean economy. The new tax laws greatly impacted corporate and business investment, Rozin said, even if the president was successful in what she wished to achieve. 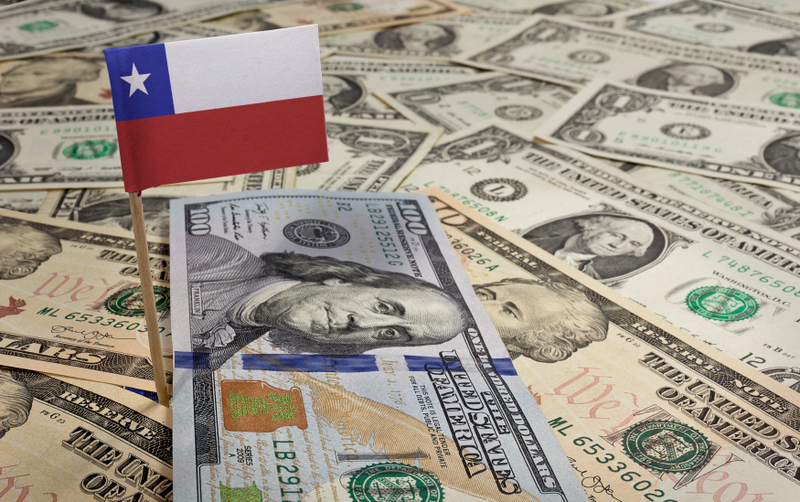 Reforming the corporate tax code by increasing rates was poorly timed, Jacobsen said: Chile was already struggling to grow and the tax increase killed investment in the country. Furthermore, falling copper prices have exacerbated the effect that a dampened business climate has had on the Chilean economy. Overall, Rozin believes that Chile’s current political woes are more likely to give a “black eye” to the country rather than inflict any permanent damage. “It’s not going to affect the ability to get things done but it’s also definitely something worth monitoring because in a way, this political funding scandal has exposed a deep seated corruption in the political system, and Chile faces a challenge in restoring some of the credibility it has spent several decades building up,” he said. The scandal has further damaged the image of the extreme right political party, which is already tainted by its links to the brutal dictatorship of General Augusto Pinochet. But according to Jacobsen, Bachelet’s popularity is also very low and it’s unlikely that she would win a reelection even if the constitution allowed her to run.